This time on Culture City, we take a field trip to a communally-minded art space with a strong collaborative spirit. Located on Oakland Avenue in Detroit’s North End neighborhood, One Mile is home to a broadcast sculpture called The Mothership and a whole lot more, including a community garden and ongoing work to reactivate the historic Apex Bar. 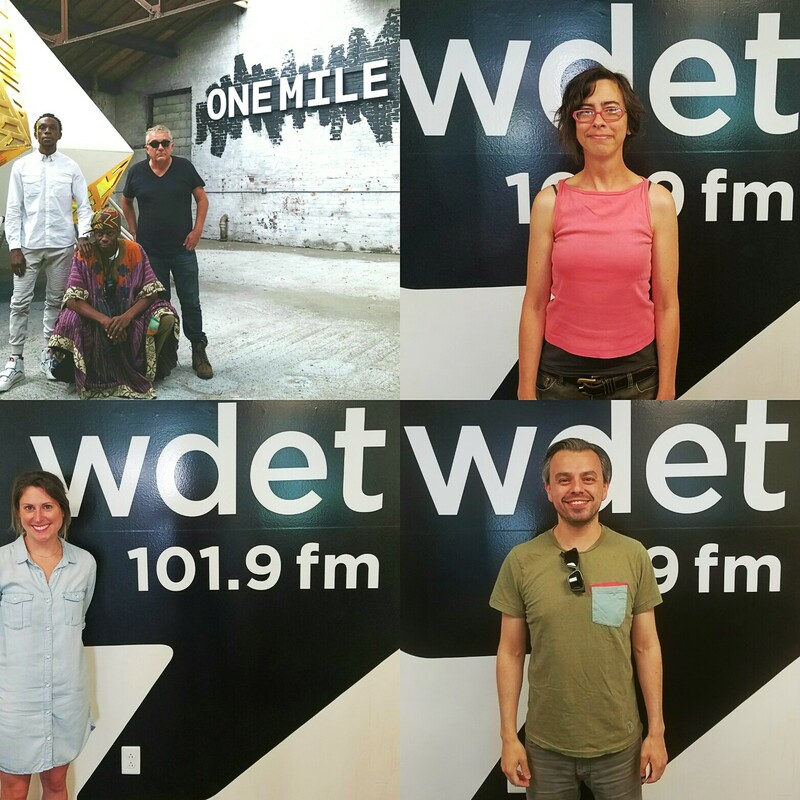 We’ll chop it up with Bryce Detroit, Jean-Louis Farges and current musician-in-residence Efe Bes. We’re going to learn about the fourth round of Detroit’s innovative writer-in-residence realty program, Write-A-House. Interestingly enough, all of the awardees, who are judged blindly, have been women. Cool! We’ll hear from recent recipient, Anne Elizabeth Moore who has a reading tonight at The Vault of Midnight comic shop downtown Detroit, as well as co-founder Sarah Cox. First, we’ll dig into the inaugural Corktown Strut, a multi-genre musical festival going down July 1-3 at several venues in the neighborhood. It features a diverse, top-shelf bill comprised of some of Detroit’s premier musicians, including the WORLD PREMIER OF ZAP FRANCIS, as well as dishes from some notoriously yummy eateries created especially for the event. Plus, must-hear music throughout the hour!